MomsRising.org | Support WI Councilwoman’s right to breastfeed her baby! 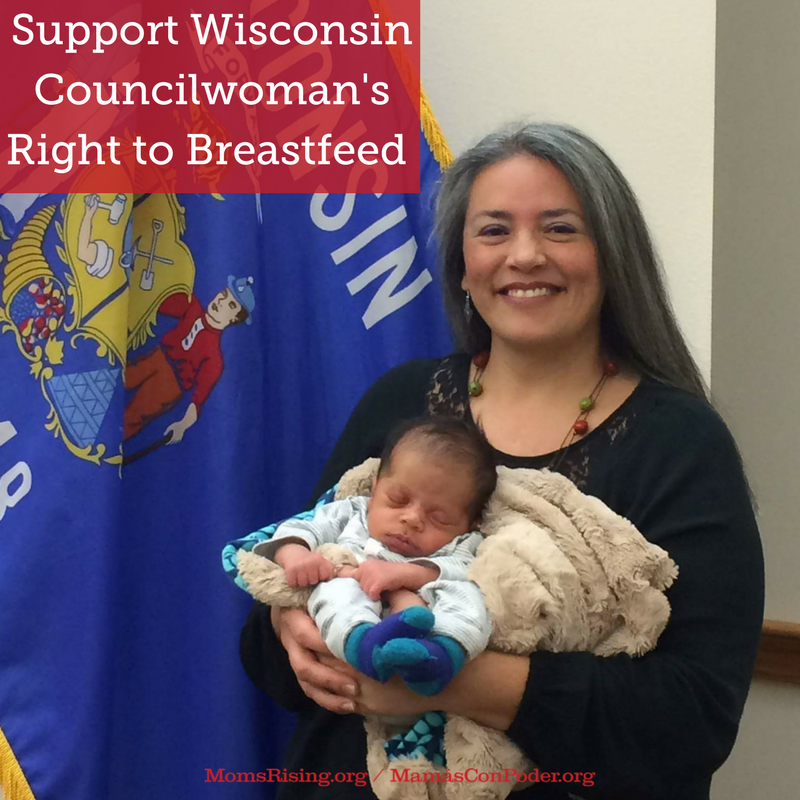 Support WI Councilwoman’s right to breastfeed her baby! Stunned. Outraged. That’s how I felt yesterday when I saw the news that an elected Councilwoman, Catherine Emmanuelle, in Eau Claire, Wisconsin was illegally barred from breastfeeding her baby at the council dais during council meetings--because breastfeeding didn’t meet the “standards of decorum” for meetings. I’m sorry, what?!?! You know what doesn’t meet OUR standards of decorum? Violating the legal rights of breastfeeding mothers who are just trying to do their jobs - in this case representing their constituents while also caring for their baby. → Sign the petition NOW urging the Eau Claire City Council to drop the resolution and let Councilwoman Emmanuelle get back representing the citizens of Eau Claire! Breastfeeding in public is protected by law in Wisconsin, yet Councilwoman Emmanuelle is being barred from doing just that, which is illegal and also makes it hard for her to fully do her job as an elected representative of the people. The Council’s outdated and discriminatory policy regarding “decorum” puts unreasonable and illegal barriers in place. The Council’s attempt to rectify the situation by proposing a vote on a resolution to grant Councilwoman Emanuelle an exception to the decorum policy does not meet the needs of working parents their babies, and the citizens of Eau Claire. The proposed resolution will set a dangerous precedent for women across the country and further discriminate against working mothers. It is the definition of structural sexism inside of government that reduces the number of women who want to participate, who run for office, and, ultimately, govern our lives. As one of over one million MomsRising members across the county, I urge you to drop the resolution, work to dismantle barriers to breastfeeding and let Councilwoman Emmanuelle get back to representing the citizens of Eau Claire.